Billionaires, beachgoers, and boutique shoppers flock to the Hamptons, a picturesque seaside enclave located just a short trip away from New York City. Here are a few Hamptons highlights and tips to help plan the perfect day-trip getaway from NYC. Rub shoulders with the rich and famous in Southampton, an upscale coastal town that’s home to a charming collection of cafes and boutiques. Catch a glimpse of multi-million dollar mansions owned by Hamptons residents like Jerry Seinfeld, David Letterman, and Paris Hilton. Marvel at the huge yachts and historic architecture of Sag Harbor, a 300-year-old seaport and whaling village listed on the National Register of Historic Places. Shop until you drop at the Tanger Outlets in Riverhead, a collection of brand-name retail stores offering a variety of discounted wares. Sample the latest vintages during a wine tasting at a Long Island vineyard such as Wolfford Estate Wineries. 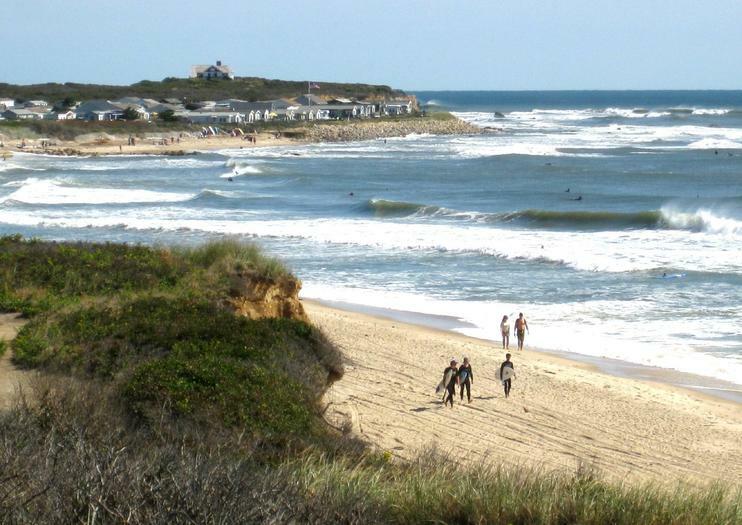 Stick your toes in the sand at one of the famous local beaches like East Hampton. The Hamptons are approximately 100 miles (160 kilometers) east of New York City. Most day trips to the Hamptons typically last 12 hours or more, so plan your travel schedule accordingly. The Hamptons has a temperate climate, with sunny, warm, summers and chilly weather in the autumn and winter. Bring layers, good shoes, and proper sun protection. Plan transport in advance. The Hampton “Jitney” bus is one option, but expect crowds during the busy summer months. The Montauk Branch of the Long Island Railroad is an inexpensive, if slower, alternative. If you’re thinking about renting a car, keep in mind that New York City rentals can be costly and complicated.